I’m sometimes asked what it is like to be a doctor. Rewarding, sure. Challenging, yes. Heartbreaking, many times. 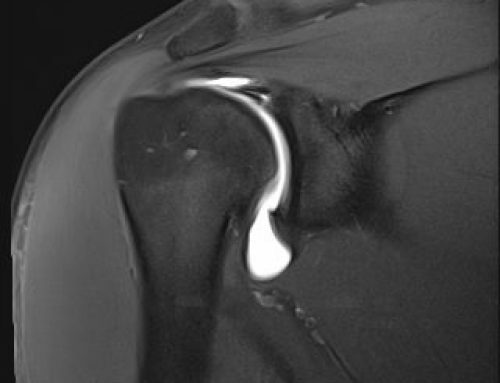 As a radiologist, I do more than just image what is inside of a patient. When I take a patient back to be scanned, they become like part of my family. I can’t help but become attached to their stories, their lives, and the individuals they are. My patients aren’t just a number or scan on my computer screen. They are real people with real problems that I need to solve. And, solve these problems I often can, which brings me to the rewarding part of my job. But, there are some times when a radiology study shows the bad news no physician wants to deliver to their patient. 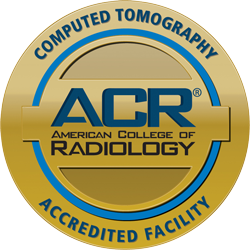 At Charter Radiology, that’s the blessing and the curse of having the most advanced imaging technology in the region – we find the problems others may miss; but, alas, that means we find the problems no person wants to experience personally. 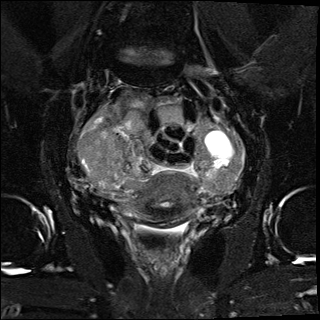 A 69-year-old woman was referred to Charter Radiology for an MRI defecography scan, an uncommon imaging study no other radiologist in the area performs. This comprehensive study is often performed for women with pelvic organ prolapse. The patient knew that something was wrong when she felt a constant pain in her lower pelvis, yet her previous surgeon told her nothing was wrong. An ultrasound of her ovaries had shown no masses. She was clear. She was fine. Yet, she knew this not the case. The patient remained concerned about her ovaries and the persistent pain she felt because her mother had died of ovarian cancer. That day in February when she turned to Charter for her MRI scan of her pelvic area and ovaries, this woman came in with the hope that my studies would not confirm her worst fears. So, I introduced myself and we talked for a while to allay her anxiety. I explained the imaging study so she would know what to expect. This patient was an endearing woman who had much to live for. As I walked her to the MRI scanner I did all I could to put her at ease, make her feel comfortable, and put a smile on her anxious face. Like we do for every patient, the technologist asked her what music she’d like to listen to as I handed her the headphones that would drown out the whir of the MRI scanner. Ironically, she requested Eva Cassidy, a local singer. I say ironically because my patient then informed me that Eva Cassidy has passed away of ovarian cancer. Then, we began the scan. As I looked at the computer screen, I knew from the very first image what we all hoped would not be this woman’s reality – bi-lateral ovarian carcinoma. The very first image showed large masses on both of her ovaries. Ultrasound is not enough to identify ovarian carcinoma. In this case, ultrasound missed 10 cm masses on both ovaries. By the time she came to Charter, she had stage 4 metastatic disease. I let out a big sigh. I thought, ‘Oh my goodness. I have to tell this patient she has ovarian cancer, just like her mother had.’ There were tears in my eyes as I finished the study. I had to collect myself. I was visibly upset. I knew I had to deliver the worst news of this woman’s life. This, my friends, is the heartbreaking part of my job. As I composed myself and sat this woman down in my office to deliver the news, it was also my job to be her confidence when she had none of her own. It was my job to let her know that I was on her side and that I’d help her navigate the next part of her journey by finding her only the very best gynecologic surgeon. And, navigate we did, through additional CT scans and imaging studies and referrals to only the best surgeon for her care. Within two days of the imaging studies, a great deal of phone calls and back and forth with reports and records, my patient underwent surgery. The pathology report indeed confirmed bilateral ovarian carcinoma and disease that extended into her bowel, colon and fallopian tubes. She had a complete hysterectomy, her fallopian tubes were taken out, and part of her bowel was resected. This patient had a family history of ovarian, breast, uterine and colon carcinoma. Her mother died of ovarian cancer. The patient herself had overcome breast cancer. Being in such a high risk category, this patient should have been routinely screened by MRI, which is a standard of care at Charter. It’s vital for physicians, as well as patients, to recognize the importance of knowing family medical history. 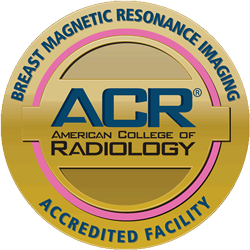 With a history of breast cancer, this patient should have been having a routine breast MRI annually. 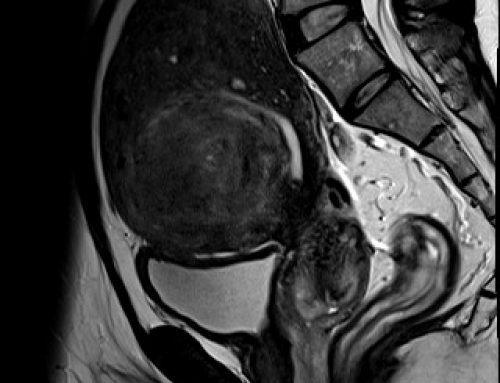 With family history of ovarian cancer, she should have had routine screening MRIs of the pelvis. The way I see it, the healthcare system failed her on multiple levels. The team at Charter Radiology prides itself on being a patient’s advocate. Our compassionate, expert care and advanced imaging technology certainly sets us apart. However, patients must also advocate for themselves when it comes to their health. I shudder to think how much worse it would have been if my patient did not listen to her gut instinct. Had she ignored the pain she felt and took the results of her ultrasound exam as final, would she even be here today going through treatment and hoping for a future? There is good news for the future of radiology in our region. Charter Radiology is teaming up with Myriad Genetics to provide screening for multiple genes that will identify an increased risk for carcinoma. That means, patients participating in our clinical studies who test positive for cancer-specific genes will be screened annually with breast MRI, pelvic MRI to screen for ovarian cancer, and abdominal MRI to screen for pancreatic cancer. And we’re not just using any run-of-the-mill MRI technology. At Charter, 3 Tesla MRI is the gold standard for screening, offering the highest resolution available for detecting any abnormalities. In fact, this advanced 3 tesla MRI can be lifesaving for patients with a family history of genetic cancers. Remember: If you feel like something is not right, keep looking for the answers. And, know that the team at Charter Radiology will travel the journey with you.